A turf runner for Easter. Turf on the table for real, does it look like grass? Martha thinks so, she sells it in the Grand in Road catalog for $59 plus shipping for a 18″w x 72″l piece. I paid $11 for a 3′ x 12′ piece. Enough to cover my entire table two times over. Simply cut to size and glue the edges under for a finished look. Turf on the mantle too, why not? 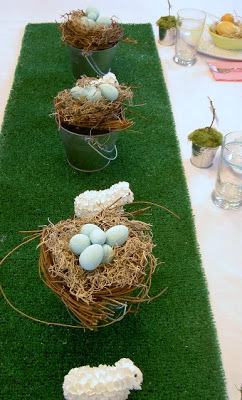 I want to try something similar with astroturf. 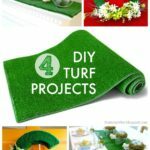 I found these place mats (http://www.butterflycraze.com/grass_mat2.php) which I think would be a cute idea to use for decorating my twin daughters' room, but I know I can do it cheaper with standard astroturf. I just love you! You have me grinning from ear to ear this morning. 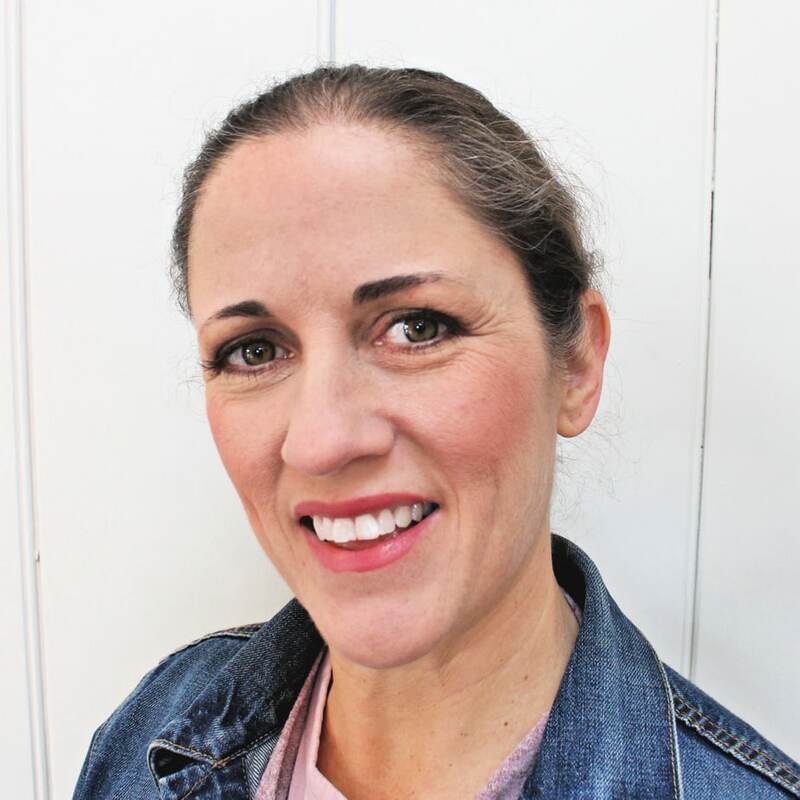 You have such a great eye for beauty and such a creative way of putting everything together! 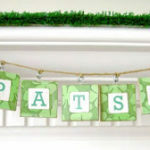 Terrific idea and yours looks just as good as Martha's for much cheaper! 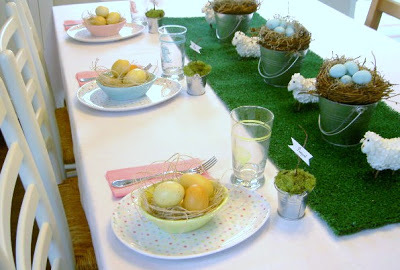 Love your little egg plates with the nests. 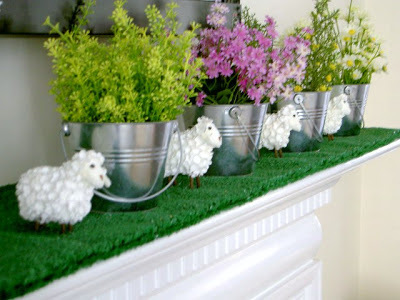 And how I'd love some of those little lambs on your table too! 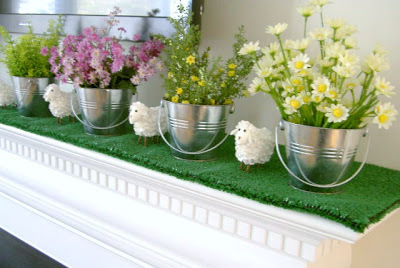 I think a lamb is more of a symbol of Easter than bunnies and chicks and I'm hoping to get some this year. I love those little lambs too. Where'd you get them? Seems like I've seen them before, but can't remember where. So delightful! I am ready for spring! Everything is so fresh and pretty. I love you pretty spring touches. Where Oh, where did you come by those lambs? I love them! 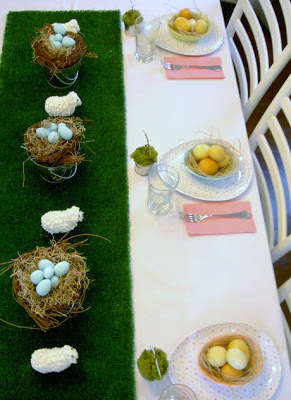 That's a really fun idea … and I love the little nests on your table. I love the charm of your spring table. 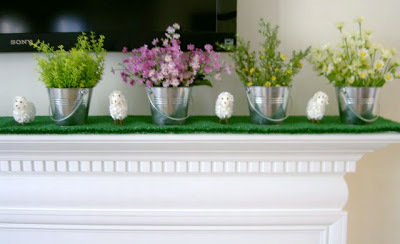 adore the turf on the mantle! what a great way to welcome spring with a wink and a smile! Love it! Thanks for sharing! OMG!! And I always thought fake turf was so ugly but you make it look beautiful. Don't for get to link to More The Merrier Monday. what a creative idea! Looks so springy. So creative! I'm going to have to try this! 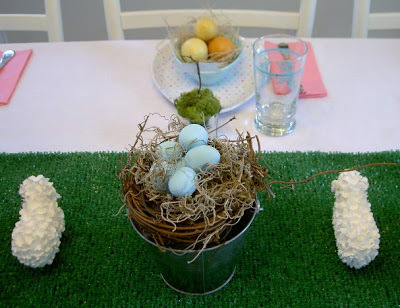 I am hosting Easter this year and what a way to set a table! Hey, I'm your newest follower. Love the blog and the creativity. Have a good day. 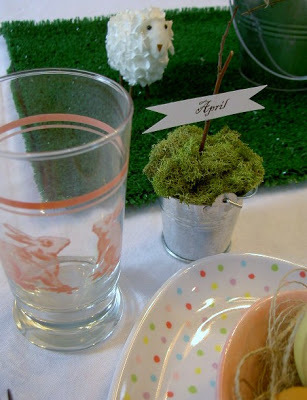 such a fun & whimical idea! 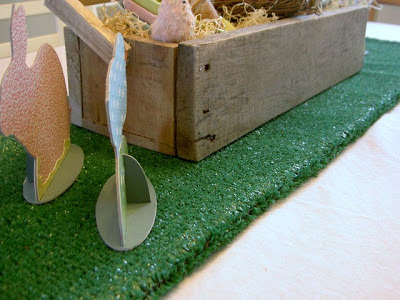 I love this and am totally copying the idea for my Easter table! I also put a link to this on my blog. 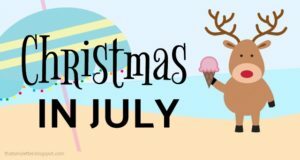 I'm new to blogging so let me know if I did anything wrong! Hello. 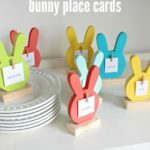 I am having a teddy bear picnic party and I am looking for centerpiece ideas. I want to use the red and white gingham check to incorporate the picnic, but I think I grass runner will be nice. Did you get this at LOWES? this is super cute! Thanks for linking up. 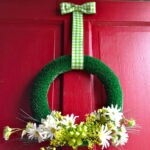 Great idea to add some green with turf! 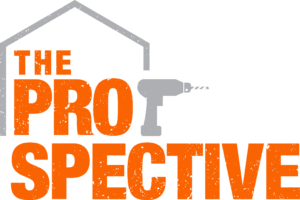 I'm going to be featuring them during the Countdown to Spring round-up @ Domestically-Speaking. Thanks for joining the party! Where did you purchase this? 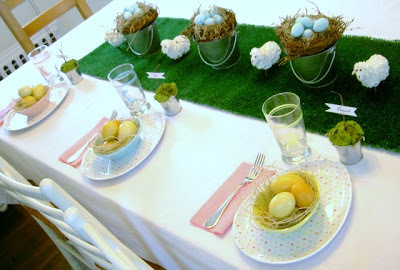 I love the idea and would like to do it for Easter.